BeerBasics.com is glad you chose to watch Smuttynose Finest Kind I.P.A. India Pale Ale is a style of beer that has experienced a stretching definition. BeerBasics.com is glad you chose to watch the commentary “The Bunker Mentality”. This is a personal message to the brewers and friends-of-beer to take a good hard look at the tribalization of beer. BOSTON AND CANTON, MASSACHUSETTS (October 1, 2018) – Two of America’s iconic beverage brands are bringing a bold new way for fans to toast the start of fall. 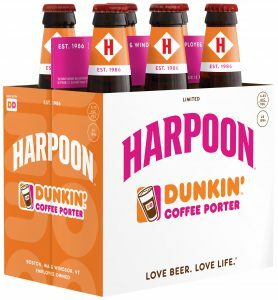 Dunkin’ and Harpoon Brewery have come together to create Harpoon Dunkin’ Coffee Porter. 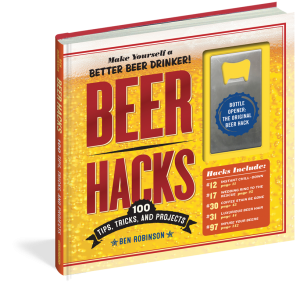 Recently a Chloe Puton, the Associate Director of Publicity at Workman Publishing sent me a copy of BeerHacks via UPS followed by an Email, inquiring as to its arrival; all unsolicited. After thirty years in my profession I will assume this means she wants me to publicly comment on this book.